A preview of the World Cup final for the US audience - No Sacred Cows! The 45 day cricket World Cup draws to a close this weekend with a fitting finale. The joint hosts- Australia and New Zealand will face off at the ground the locals call “The G”. The game is slated for Sunday in the southern hemisphere which makes it a 11:00 PM (ET) Saturday start in the U.S. If like me, you find college basketball boring or just plain gross with the sight of old white men in suits bossing unpaid college kids around, you can watch the cricket World Cup final here for just USD 19.99. Or you can scour the bowels of the internet for a quality bootleg feed. Either way you are bound to be entertained a lot watching cricket’s quadrennial extravaganza. ●	Evenly matched teams – The two teams have played eight games each to get here. The only loss either team has is the one wicket defeat Australia suffered at the hands of this very New Zealand team on a memorable night in Auckland exactly a month ago. A one wicket loss is analogous to a home team winning a baseball game while being down to the last strike. That is how closely and evenly matched these two teams are. They are both deserving participants who will likely go neck and neck for eight hours. Big games especially finals are prone to nerves and blowouts. I doubt this one will have either. Expect a close game. ●	Australia = New York Yankees times Duke basketball – This is Australia’s seventh World Cup final. This is the eleventh World Cup. Like they showed in a comprehensive rout of India on Thursday, they are the big playground bully. They replenish talent quicker than other nations and somehow shine brighter and bigger on the biggest stage the sport offers. To fans of other teams and neutrals, they are the easy-to-root-against villain. If they were a college basketball team, Dickie V would be dressed like a Kangaroo during broadcasts. Feel free to hate-watch them. ●	New Zealand has never had this many fans – The crowds at games involving New Zealand have been a lot of fun. They have been loud and displayed a deep sense of support to the team and the tournament. 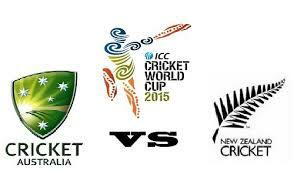 This is New Zealand’s first game in the tournament outside New Zealand. While Kiwis in the stands may be outnumbered by locals, never have so many people rooted for them. Australia smoked thru England, Sri Lanka, Pakistan and India in that order to get to the finals and these collective fanbases will be rooting against their common enemy. Also, what’s a more likeable country than New Zealand? Name one person who returned from New Zealand and said they didn’t like it there! New Zealand will never have this many hearts beating for them. ●	Exceptional sportsmen on display – The game after all is about the players on the field and the two teams possess some incredible cricketers. Any one of the 22 men on the field could step up and make Sunday his. Brendon Mccullum, Martin Guptill, Corey Anderson and Kane Williamson are all gifted Kiwi batsmen who can win this game single-handedly. Trent Boult and Tim Southee make up a formidable pace duo capable of running thru Australia’s deep batting line-up just like they did a month earlier. Australia’s batting depth extends to their #10 batsman which is about as good as it can get. They possess a pace bowling trio – Johnson, Starc and Hazelwood that harassed an experienced Indian batting order that had been on fire for a month. Both teams catch the ball well and hit the stumps regularly. These are exceptional sportsmen at the prime of their powers playing the biggest game of their lives. ●	This could be the biggest night in New Zealand sports history – At the end of the day, the story here could and should be New Zealand. A tiny nation with a GDP smaller than Apple’s 2014 revenue is on the verge of its greatest sporting day. While the country’s success in rugby is real and noticed, it is going to be hard to supplant a win over a loathed big bully on its home turf for cricket’s most coveted prize. We could all be witness to the biggest night in New Zealand’s sports history and a generational triumph. Isn’t that reason enough to tune in? Very nice article that has the matchup discussed threadbare with the passion of a cricket fanatic! Naturally got picked up on sports grid. Nice article. Can’t believe you find college bball boring. Plenty of room for cricket and March madness. Go badgers!